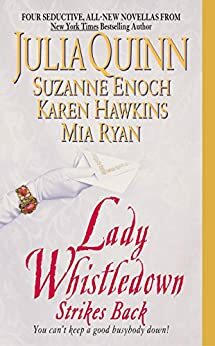 Lady Whistledown Strikes Back - Kindle edition by Julia Quinn, Karen Hawkins, Suzanne Enoch, Mia Ryan. Romance Kindle eBooks @ Amazon.com. Who Stole Lady Neeley's Bracelet? Was it the fortune hunter, the gambler, the servant, or the rogue? All of London is abuzz with speculation, but it is clear that one of four couples is connected to the crime. Julia Quinn enchants: A dashing fortune hunter is captivated by the Season's most desired debutante . . . and must prove he is out to steal the lady's heart, not her dowry. Suzanne Enoch tantalizes: An innocent miss who has spent her life scrupulously avoiding scandal is suddenly—and secretly—courted by London's most notorious rogue. 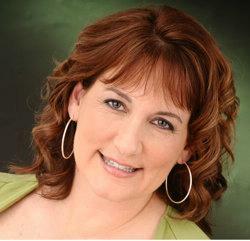 Karen Hawkins seduces: A roving viscount comes home to rekindle the passionate fires of his marriage . . . only to discover that his beautiful, headstrong bride will not be so easily won. Mia Ryan delights: A lovely, free-spirited servant is dazzled by the romantic attentions of a charming earl . . . sparking a scandalous affair that could ruin them both. A strong and charming encore to The Further Observations of Lady Whistledown, this superb Regency-era novella collection is punctuated by gossip columnist Lady Whistledown's witty comments and penned by the same authors who contributed to the previous book. A disastrous dinner party during which a ruby bracelet goes missing-and four couples discover or rediscover their soul mates-sparks the collection. Each tale follows one pair as they tackle the obstacles to love, but the stories are skillfully interwoven to the point where they present the same encounters and relay the same dialogue from different points of view. At times, references to the other couples can feel forced, but the authors are largely successful in piecing their hilarious and sometimes touching stories together into a delightful romantic quilt. Similarities abound: the heroines are unwed virgins, the heroes unwed but not virginal, and all are filled with gratitude that they found each other. Only Hawkins's story, featuring a wedded couple estranged for 12 years, stands strangely apart, as it explores the darker issues of pride, betrayal and forgiveness. Sure to be as popular-if not more so-than the previous Whistledown, this winsome collection is a cut above most romance anthologies. Loved the continuation of Lady Whistledown stories. If in Scotland, would she be Lady Thistledown....or maybe in the US would she be Ms. Tumbleweed....or in Canada Ms. Mapledown?? 5.0 out of 5 starsBetter than the first! "I admit I have felt the effect of your mouth, my lord," she said in a low voice. This looking and not touching was going to kill him. "You haven't begun to feel the effect of my mouth, Charlotte, " he murmured. WOW! Be still my beating heart! The only low point in this fabulous collection was the story by Mia Ryan. I was very disappointed by the silly, downright obnoxious character of Miss Martin. What happened to Mia Ryan? I really enjoyed the story she wrote in the original Lady Whistledown compilation, but since, her work has seemed forced and painful. Very sad. In all, you must read this book for the wonderful stories from Quinn, Enoch and Hawkins. This book is going on my keeper shelf! I love every single thing Julia Quinn writes. I have read every one of her books. This book is a nice touch because it introduced me to new writers. I now read everything by Karen Hawkins I can get my hands on. Mia Ryan seemed to drop off the writing scene, but I like what she wrote. I've also read books by Suzanne Enoch and she is a good writer as well. So this was a bonus book that allowed me to find new authors and knowing I will like their work. 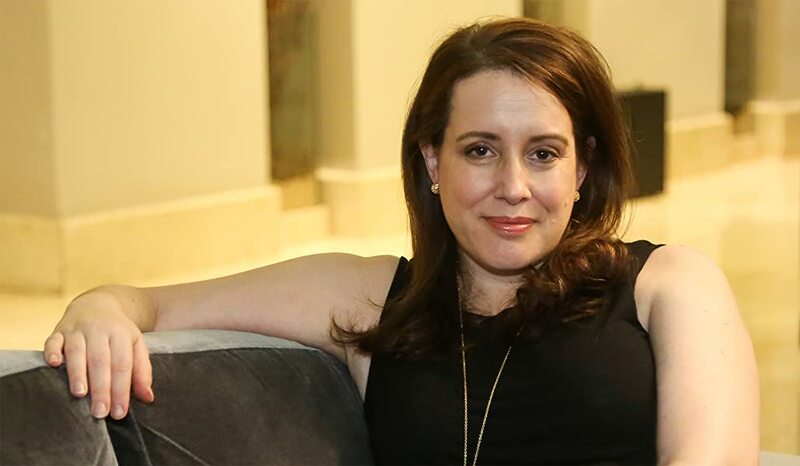 Can't go wrong with the engaging writing of Julia Quinn guiding three other budding writers. Mia Ryan is my pick for best newcomer! Four short stories that all safe built around a dinner where a bracelet is stolen. Overall rating 3.5. The authors that wrote this anthology are among my favorites. The books were interconnected and I quite enjoyed them. I can't understand some of the negative comments. Especially one that was so long I couldn't read it all. But I certainly enjoyed this book. I am attached to this series of books. Yet I am leary of 4 short stories written by different authors who would not normally write this series. yet I found the book delightful, each of the four stories related to the next and it was a book in itself. the three writers worked very well with the author of the original concept. Very entertaining, I recommend this book!